A marketing/PR blog about music and fashion. 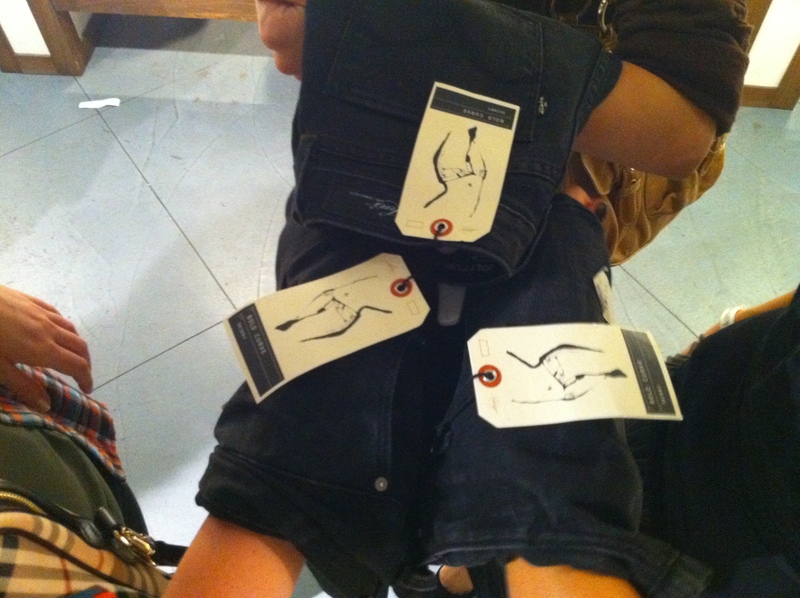 This week, I was fortunate enough to attend the Levi’s (client of Edelman) Curve ID blogger event in San Francisco at the flagship store in Union Square! It’s a totally innovative campaign where they gathered more than 60,000 3D body scan images from around the world, finding the shapes of women in order to find the key differences. Three major categories came out of their research: Slight Curve, Demi Curve and Bold Curve. One interesting fact I tweeted out from the event was this: Levi’s (client) talked to woman across the world. 87% said they have a lot of jeans but wish they had one pair that fit. #CurveID. 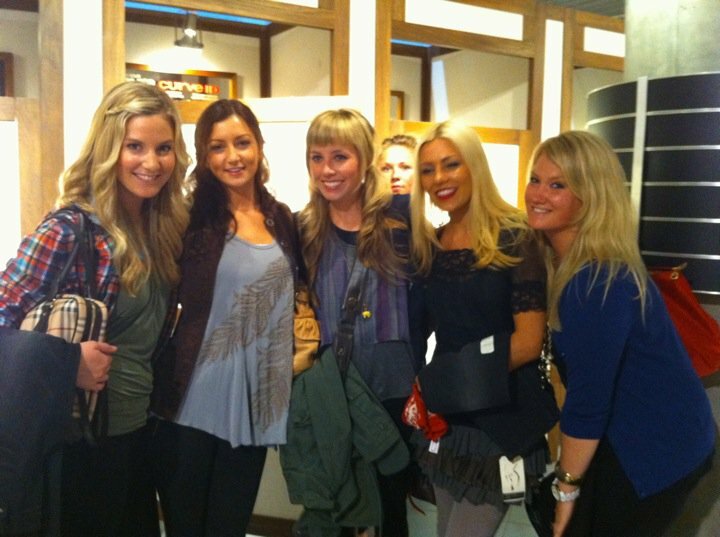 Check out my time at the event and how much fun it was learning about the new product! By the way, my CurveID is the Bold Curve… and it fit great! 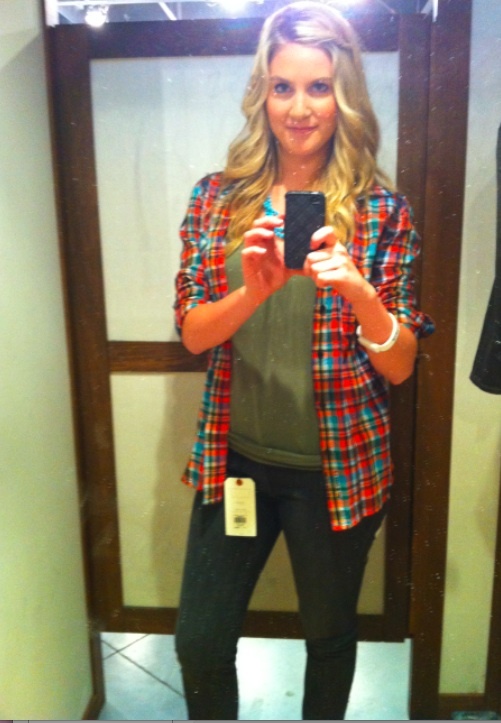 It was great chatting with Meghan, The Levi’s Girl! Fashion Week is in full swing and fashionistas and ‘os everywhere are covering it 24 hours a day on Twitter and Facebook, in the blogosphere and on online publications. Hearst Digital Media is currently covering Fashion Week in New York and plans to keep bringing it to the people during the weeks to come at every other fashion week in Europe. HarpersBazaar.com and MarieClaire.com are both covering Spring 2011 with teams of editors and bloggers providing the details and headlines. People around the world can follow the news and trends on the sites and track updates via Facebook and Twitter. RealBeauty.com is also providing coverage of the emerging beauty trends, and even Esquire.com delivers details from the male perspective for all of you fashionistos. Daily News from the Front Row – Derek Blasberg takes site visitors front-row, backstage, and into the most exclusive Fashion Week parties, reporting daily on the trends, the faces, the hot spots, what everyone’s wearing and of course, the season’s news-making fashion. This can be found right on the home page. Laura Brown sits down with Francisco Costa and Prabal Gurung to talk about fashion week, trends and inspirations. 100 Best Looks Photo Gallery – Every day, the Bazaar editorial team will identify the 100 best looks from the runways in New York, as well as in London, Milan, and Paris. The new Style Blog: Focusing on NY Fashion Week with ongoing Fashion Week coverage culminating with the “Esquire Fashion Week Awards” on Friday, Sept. 17. Happy Fashion Week, everyone! No matter if you’re in New York or you’re on the west coast wishing you were at Fashion Week, you too can attend Fashion Week at all hours by living vicariously through the hashtag: #NYFW. And, similar to Twitter’s microsite (shown above), I added an RSS feed of the hashtag #NYFW to the right column of this blog. Of course, it’s not as advanced, but I didn’t want you to miss a second of Fashion Week, no matter where you were on the web! Now, Twitter built a microsite aggregating and organizing every tweet and picture with the hashtag #NYFW. Sponsored by American Express and partnering with @Modelina, @WomensWearDaily, @Bergdorfs and @AskBobbiBrown, Twitter has also created @nyfw account bringing content from a number of reputable sources. “What’s useful about the microsite is that it allows followers to hone in on the topics they’re most interested in, whether that’s runway news, designer interviews, beauty trends or behind-the-scenes gossip. For those who aren’t interested in following Fashion Week minute-by-minute, Twitter has also made it easy to catch up with daily recaps and archived footage,” reports Mashable. How are you tracking spring New York Fashion Week? If you’re attending the shows, are you also using Twitter to follow the shows you may be missing? Can’t make the trek this week to New York for Fashion Week? Well, Nordstrom Walnut Creek is bringing a taste of it to the Bay Area! What: Fall 2010 Piazza Sempione Collection. Enjoy informal modeling and refreshments. When: Friday, Sept. 10, 11 a.m. – 3 p.m.
Where: Nordstrom Broadway Plaza in Walnut Creek: Collectors on floor two. Get ready fashionistas and ‘os – Fashion Week begins this week on Sept. 9! If you’re not in the area or you’re super busy, attend Digital Fashion Week! Shows like Donna Karen, Betsey Johnson and Perry Ellis are streaming their shows live online – truly innovative! 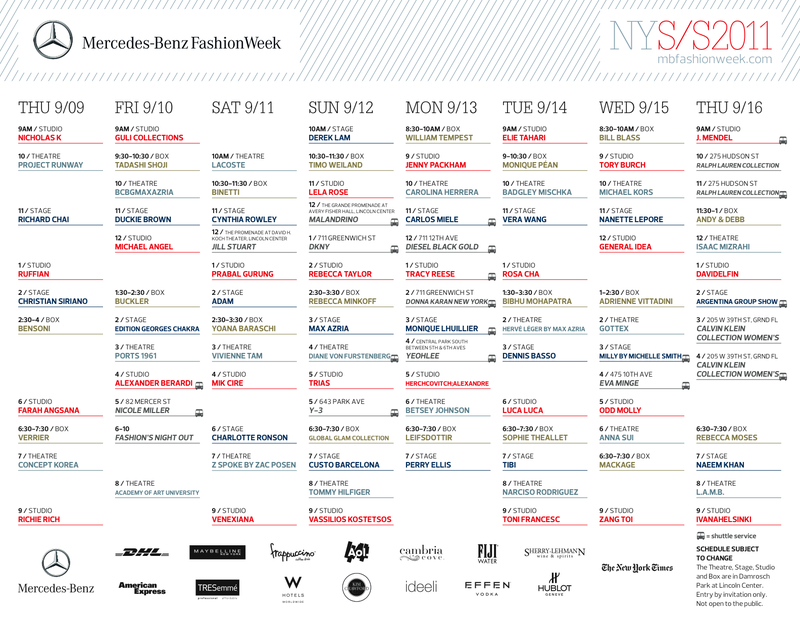 Also, click on the below calendar for the complete spring 2011 New York Fashion Week schedule. Reporting on music and fashion from a Marketing/PR perspective. This is my personal blog where I share thoughts and opinions that are solely my own.